I was around 15 when this happened. It was the 4th of July and me, my dad and my sister went up to Monuments to bust fireworks. It was around 12:30 a.m. and I was busting fireworks in something like a big gigantic drain. My dad and my sister were just sitting around watching me. I ran out of fireworks, so I went back to the truck to get some more. 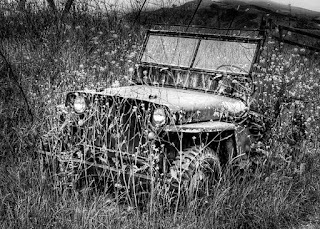 When I turned around, there was an old, old Jeep right behind me. The kind that was just bars, no cover or anything. The way this place is, it’s a dirt road. We went down it about one mile, and we could see the beginning of it. If there had been any cars coming, we would have seen them. But there it was, right behind me. Nobody heard it or saw it coming. The Jeep was revving it's engine. When I looked in it, there was nobody there. There was no driver. It revved its engine again, and drove off down the road. I saw the lights turn the corner, and it was gone. I looked over at my dad and sister, and my dad said, “You guys saw that? Did you see anyone in the car?” I told him there was nobody in it. He says, “We goin' follow. Come on.” So we all get in the truck, and my dad starts it up, and it dies. He tried three more times, and it died out each time. He says to us, “If the truck dies out a fifth time, that means something doesn’t want us to follow it.” He started the truck, and it died out again. Finally my dad said, “Let’s get outta here.” He threw it in reverse, it didn’t stall, and we left. About three weeks later, I went to ride dirt bike with my uncle up at Monuments. We got to the road that we had been on that night, so I tell my uncle, “Eh, let’s go down this road. 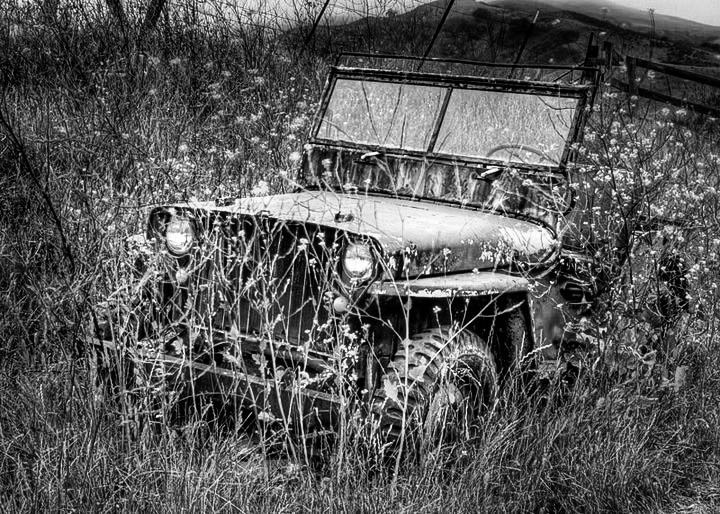 I want to see what’s down here.” So a little ways down the road, where we saw the Jeep turn, there was a tree. And wrapped around the tree was a Jeep. It looked like it had been there for a long time because it was all rusted. It was the same Jeep that I had seen that night.